Blueberries are delicious. Check out these 10 blueberry desserts you can make right now. Super yummy! Even when it's not blueberry season. 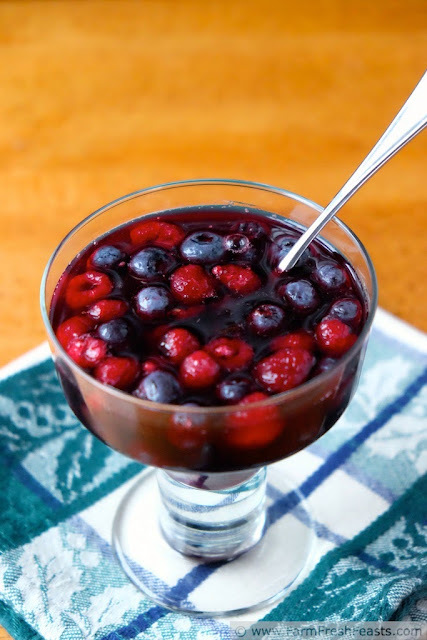 Yep, time to make some mouthwatering blueberry desserts again! Let's have a closer look at these scrumptious treats. 1) A combination of a creamy cheesecake and sweet fresh blueberry filling by Cathy at Three Kids And a Fish A must-try! 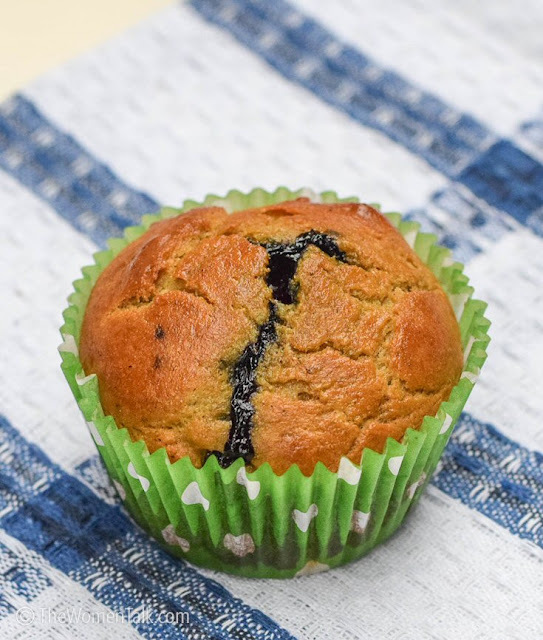 2) If you're like me, I'm sure you won't be able to keep your hands off these tasty vegan berry muffins. A sweet, delicious bite for when you crave something sweet! 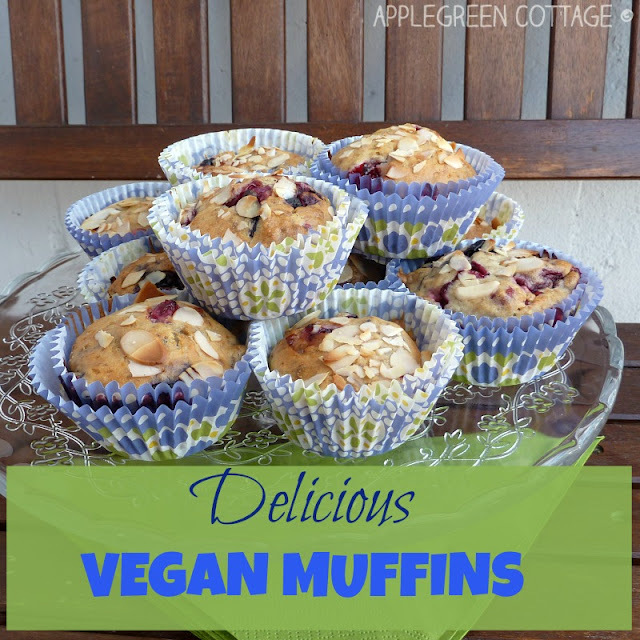 I made them very quickly, this is a vegan version of my favorite muffin recipe. 3) Ever heard of a chilled Scandinavian Fruit Soup? 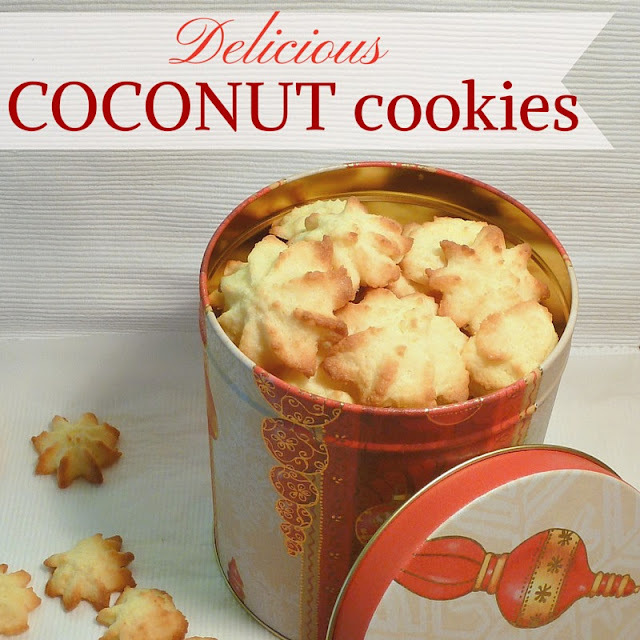 An excellent counterpart to a cookie tray! By Farm Fresh Feasts. 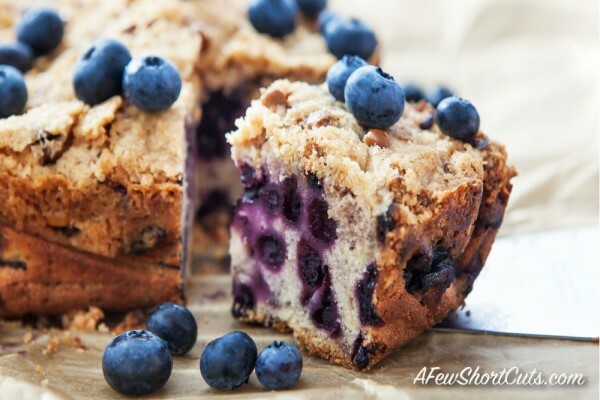 4) This blueberry cake by Amanda at A Few Shortcuts is amazing for a dessert or even as a breakfast cake. 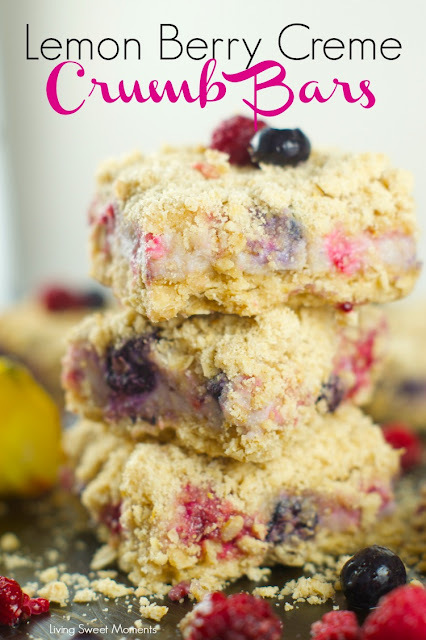 5) Aww, I just can't resist these yummy lemon blueberry creme bars! The crumbly butter oatmeal crust and a citrus berry creme filling look like a match made in heaven! By Living Sweet Moments. 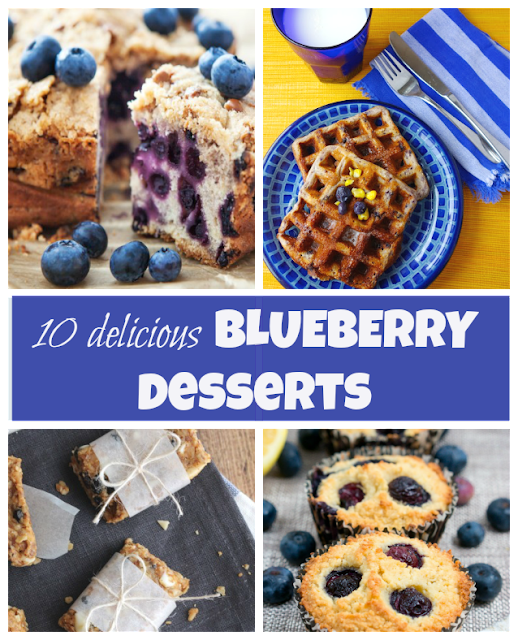 6) Don't feel like baking but would love a blueberry treat? 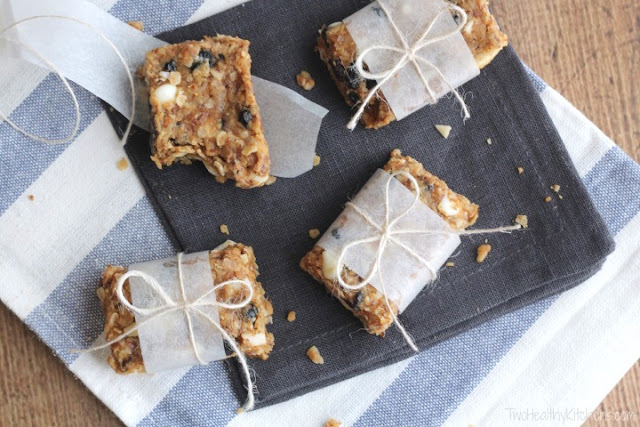 Two Healthy Kitchens has a tasty idea: no-bake blueberry-almond oatmeal bars with white chocolate. A must-try! 7) A creative mix of avocado and blueberries by The Women Talk! Even if your child is a picky eater, he will be asking for more of these. 8) Or let's make waffles! 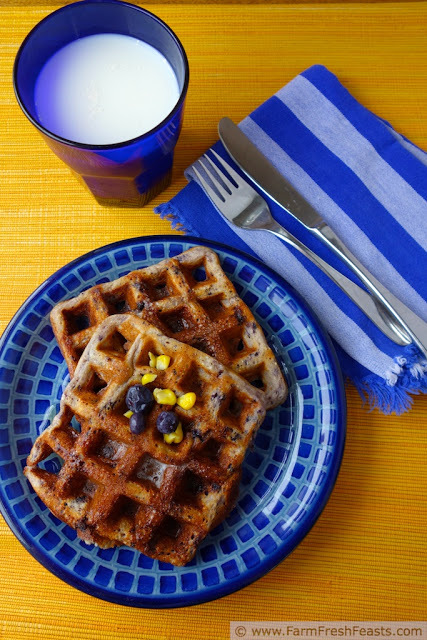 These sweet corn and blueberry waffles by Farm Fresh Feasts look like a must-try treat. Yummy! 9) Going paleo? 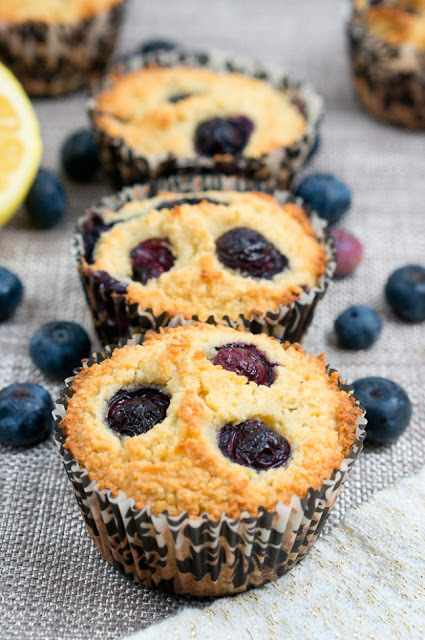 No need to skip dessert: here are lemon blueberry muffins just for you, by Delicious Meets Healthy! 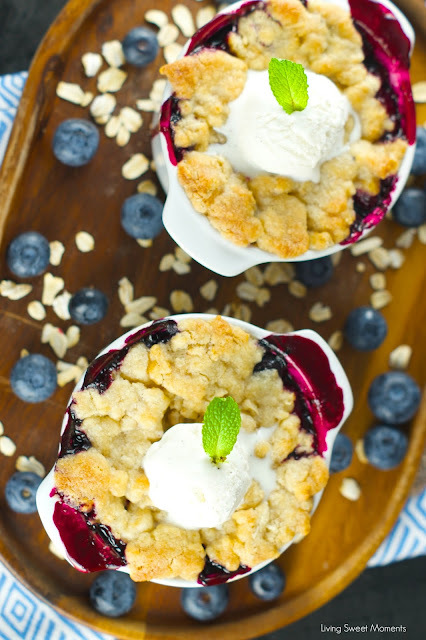 10) Tangy and sweet, this classic among desserts made by Tiffany at Living Sweet Moments, is just perfect for winter - a blueberry cobbler! Let's give it a try! Can't wait to try out some more of these mouthwatering desserts! This round up has my mouthwatering! I love blueberry anything! 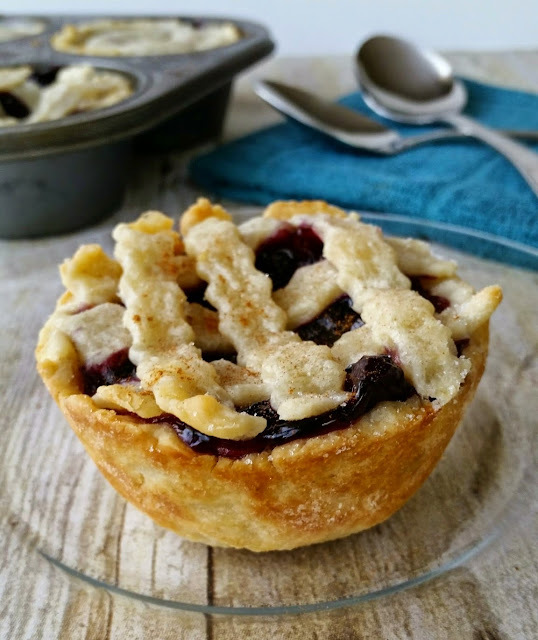 Thank you so so much Damjana for including my mini blueberry pie! Yay! :-) Pinned & Tweeted!